Ever since we started believing in the Lord, we knew that praying to God and communing with God is indispensable to our spiritual life. Because God’s word says, “Prayer is one of the ways in which man cooperates with God, it is a means by which man calls upon God, and it is the process by which man is touched by God’s Spirit. It can be said that those who are without prayer are dead ones without spirit, proof that they lack the faculties to be touched by God. Without prayer, they are unable to attain a normal spiritual life, much less are they able to follow the work of the Holy Spirit; without prayer, they sever their relationship with God, and are incapable of receiving God’s approval. Being someone who believes in God, the more you pray, the more you are touched by God. Such people have greater resolution and are more able to receive the latest enlightenment from God; as a result, only people like this can be made perfect as soon as possible by the Holy Spirit.” Here it is mentioned that a person without prayer is not someone living before God; anyone who does not pray has no spirit and vice versa. Prayer is the need of our spiritual life. When we read God’s word, praying can help us gain the Holy Spirit’s enlightenment, understand God’s will, and find the way of practice from God’s word; when we encounter dangers and adversities, it was through our prayer that God gives us true faith and courage. So to speak, the more we pray before God, the stronger our faith in God becomes, the more plentiful our understanding of the truth is, and the greater our resolves to love God are. 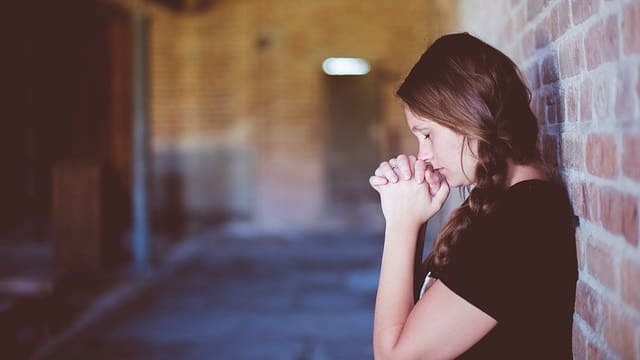 Since prayer can produce such results, some people may ask: For our prayer to be in conformity with God’s will and achieve these results, what principles should we grasp? Now, I’d like to share fellowship on this specifically. Firstly, the true significance of prayer to God is to understand the truth and attain obedience to God and worship of God. We must not, under any circumstances, engage in religious ceremony. Praying is one way to worship God. If our prayers are to be effective, firstly, we must find the way within God’s word and understand the true significance of prayer. God’s word says, “Prayer is not a case of going through the formalities, or following procedure, or reciting the words of God, which is to say, prayer does not mean parroting words and copying others. In prayer, you must give your heart to God, sharing the words in your heart with God so that you may be touched by God.” “If you pray often and if you know how to pray, frequently praying submissively and reasonably, then frequently your state will be particularly normal inside. If you frequently pray with a few slogans and don’t have a burden, or ponder how you are speaking reasonably or unreasonably in your prayer, and what kind of way of speaking is not true worship, and if you are never serious about these matters, then your prayers won’t be successful and the condition inside you will always be abnormal; you will never deeply enter into lessons of what normal reason is, what true submission is, what true worship is, and where to stand. These are all subtle matters.” From God’s word we understand. When we pray, we must harbor right intentions, take an attitude of piety, and have a seeking, obedient heart. Only in this way can our prayers gain God’s approval and conform with God’s will. If we do not pray with seriousness and a quiet heart before God, but pray speaking a few words casually and insincerely, and even unreasonably demanding that God do this or that, then such prayers are not that obeying or worshiping God, but that conducting a religious ceremony and going through the motions. God never accepts such prayers. Then what is the true significance of prayer? 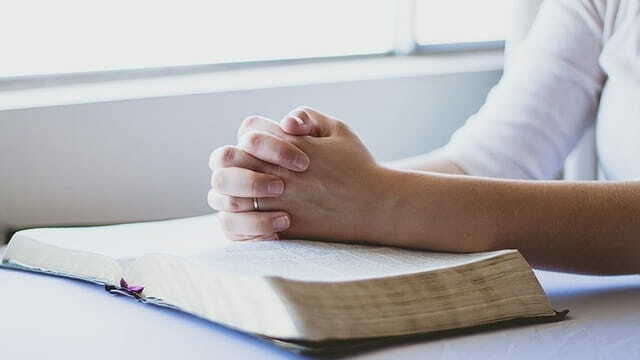 One’s prayer is not for the sake of his own fleshly interests, but rather it is to understand God’s word, to practice the truth according to God’s word, and to act in accordance with God’s will. The Lord Jesus said, “But seek you first the kingdom of God, and his righteousness” (Mat 6:33). Here we see that praying ought to be for the purpose of God’s work, for satisfying God, and for carrying out His will. Take Peter’s prayer as an example. No matter what things he encountered, he would pray with a submissive heart to seek out God’s will. He ceased to be his own master even in food, clothing, and shelter; instead, he strictly required himself to practice in accordance with the Lord’s word. So all his prayers were in concert with God’s will and all that he did could glorify God. Eventually, he was perfected by God, and became a person who was truly obedient to God and who had real worship of God. But the Pharisees’ prayers were completely different. Their prayers were entirely for the sake of maintaining their status and livelihood, for establishing and exalting themselves. Moreover, in order to deceive those ignorant common people into worshiping and obeying them, they purposely stood in the synagogues and at crossroads to engage in long prayers. Therefore, the Lord Jesus criticized them by saying, “Woe to you, scribes and Pharisees, hypocrites! for you devour widows’ houses, and for a pretense make long prayer: therefore you shall receive the greater damnation” (Mat 23:14). Through the word of the Lord Jesus, we can see that the Pharisees’ prayers were hypocritical and religious. God does not approve of but despises such prayers. Secondly, we must draw upon our practical difficulties and problems when praying to God. We must not depart from reality and speak empty words, or talk of letters and doctrines. In our real life, we always encounter all kinds of difficulties. At this time, how should we pray to God? God says, “The lowest standard that God requires of people is that they be able to open their hearts to Him. If man gives his true heart to God and says what is really within his heart to God, then God is willing to work in man; God does not want the twisted heart of man, but his pure and honest heart. If man does not truly speak his heart to God, then God does not touch man’s heart, or work within him. Thus, the most crucial thing about praying is to speak the words of your true heart to God, telling God of your flaws or rebellious disposition and completely opening yourself up to God. Only then will God be interested in your prayers; if not, then God will hide His face from you.” God’s word points out a way of practice to us. When we face practical difficulties, we must pray before God with an attitude of godliness, and opening up our heart to Him: Speak the words of our heart with honesty; do not speak empty or fakery words or lie to deceive Him. But if we shut our hearts to God, and just say some high- and nice-sounding words to deceive God, then God cannot see our honest hearts, and so He will not approve of such prayers. For example, some people pray to God, “Oh God! I am willing to dedicate my whole self to You. I am willing to devote all that I have to You!”, but afterward they do nothing for God. Some people say, “Oh God! I’d like to expend for You and to offer my heart to You. I’d like to serve You and be loyal to You,” but after saying that, they still rebel against God as they did before, is this not deceiving God? Some people pray to God, saying: “Oh, God! I am willing to forsake everything to follow You,” but having prayed, they give nothing up. Some people say to God, “Oh, God, I will love You my whole life long,” but actually, they never love God in their life—what they love are themselves, their flesh, their children, and their money. Look at these prayers. They are all empty words deceptive to God. This is sufficient to prove that we are too impious before God, and that we do not have a God-revering heart at all. God doesn’t listen to our prayers like this, so they are fruitless. If we do not repent but continue praying in this way, we will be detested by God. Thirdly, we must frequently pray to God about the problems of performing our duty and entering into life, seeking to understand the truth and enter reality. When expending for God in fulfilling our duty, many brothers and sisters believe that as long as we confess our sins and repent more in our prayer before the Lord, spread the gospel for the Lord more, do more work and preach more sermons, then we will conform with God’s will and be praised by God. But in fact, it is not. Such practice is wrong. Because in fulfilling our duty, there are still lots of problems and situations to be really resolved. God’s word says, “When fulfilling your duty or working on something, you should always think: How should I fulfill this duty? What is God’s intention? Through matters, you draw close to God, and through drawing close to God, you seek the principles and truths to do things, you seek God’s will from within and do not leave God in all that you do. This is a person who truly believes in God. … Human ideas usually look good and right to people and they look like they do not violate truth that much. People feel that doing it this way is putting truth into practice, they feel that doing it this way is submitting to God. Actually, people are not really seeking God and praying to God about this. They are not striving to do it well to satisfy God’s will, nor striving to do it well according to His requirements. They do not have this true situation, and they don’t have such desire. This is the greatest error people make in their practice, because you believe in God, but God is not in your heart. How is this not a sin? How is this not deceiving yourself? What effect will believing this way have? Where is the practical significance in believing in God?” From God’s word we can understand that the fulfillment of the duty is a path by which our life may grow. Duty is entrusted to us by God, and we should develop a true burden for it. When we fulfill our duty, it is not the case that as long as we accomplish things that God has entrusted to us, then we are satisfying God. If we do not seek to solve the difficulties and problems in our duty, can we satisfy God? Therefore, we should ask and pray more before God, find a way to practice in His word, and fulfill our duty according to His requirements. We also should at all times reflect on whether we have our own thoughts adulterated in the fulfillment of our duty or whether we are doing something that betrays the truth and principles, and after we find them we should turn around timely. If we can seriously treat everything God entrusts to us like this, then our life will grow in the course of fulfilling our duty, and our corrupt disposition will gradually be cleansed and changed. In fact, not only should we focus on practicing God’s word in fulfilling our duty, but we should live by God’s word in our work and daily life. Only when we always practice in this way, can we understand the truth and enter into its reality, change our life disposition, and become a person that is commended by God. Fourthly, there must be reverence for God in our prayers, and we must be reasonable. We may not make demands of God, coerce God, or take advantage of God, much less may we make trades with God. God’s word says, “You should seek and submit in your prayers; for example, if a matter came upon you that you didn’t know how to handle, then you say: ‘Oh God! This matter has come upon me, and I don’t know how to handle it. I am willing to satisfy You in this matter, I am willing to seek You, I desire for Your will to come to pass, I desire to do according to Your intentions, and not according to my own. You know that the intentions of man are in violation of Your will; they resist You and do not conform with truth. I only desire to do according to Your intentions. I ask You to enlighten me and guide me in this matter, so that I won’t offend You….’ This kind of tone of voice in prayer is appropriate. If you merely say: ‘Oh God, I ask You to help me and guide me; prepare a suitable environment and suitable people for me, so that I can do well in my work,’ when this kind of prayer is over, you still don’t know what God’s will is, because you are trying to make God do things according to your intentions.” God’s word gives us a way to practice praying to God. When we pray, we should stand in the right position and be reasonable; we should not make demands of God, or coerce God into doing this and that. No matter what kind of difficulties we meet, or whether we understand God’s will, we must pray with reverence for God, standing in the position of a creature and keeping a heart of obedience to God. Take the Lord’s prayer as an example. Before the crucifixion, the Lord Jesus prostrated Himself on the ground and prayed in the Garden of Gethsemane: “And he went a little farther, and fell on his face, and prayed, saying, O my Father, if it be possible, let this cup pass from me: nevertheless not as I will, but as you will” (Mat 26:39). From this we can see that even when the incarnate God prayed to the heavenly Father, He still maintained an obedient heart, completely acted according to the will of God the Father, and had no choice of His own. But in real life, our prayers are not reasonable. We often demand God do this or that to achieve our own aims without the slightest reverence for God. We force our own desires upon God and ask Him to do things in accordance with our ideas. And we demand things from God with the intention of conducting transactions with God. For example, in the face of difficulties, many people do not care about God’s will, but only pester Him with incessant prayers that include assistance for solving their problems; when some people encounter sickness, they do not seek to understand God’s will, but only ask God to give them a quick cure, and take away the torment of their sickness; moreover, there are also some people who always ask God to bless their families, their relatives, their everything, and so forth. All of these prayers are unreasonable, without submission, and do not conform with God’s will. Mentioned above are the four principles of praying to God and imploring God. So long as we grasp them, practice and apply them in our real life, we shall obtain enlightenment and illumination from God, understand God’s will, and receive God’s guidance and leadership.